The use of Powered Two Wheelers (PTWs) is exposed to a high risk of casualties leading to severe injuries and fatalities. Other typologies of road transportation, especially passenger cars, registered a significant reduction in the number of accidents during the last ten years, due to the application on the market of state-of-the-art safety systems. The rising trend of PTW accidents points out the need for intervention also on PTW safety with new and effective solutions. In the present work, a methodology based on the exploitation of real crashes involving PTWs was employed to estimate the effectiveness of innovative safety functions and the autonomous braking of the vehicle resulted as one of the most promising safety functions for PTWs. The intervention strategies for this pioneering application were defined taking into account of previous studies in the field of passenger cars. Rationales and limitations were also given. 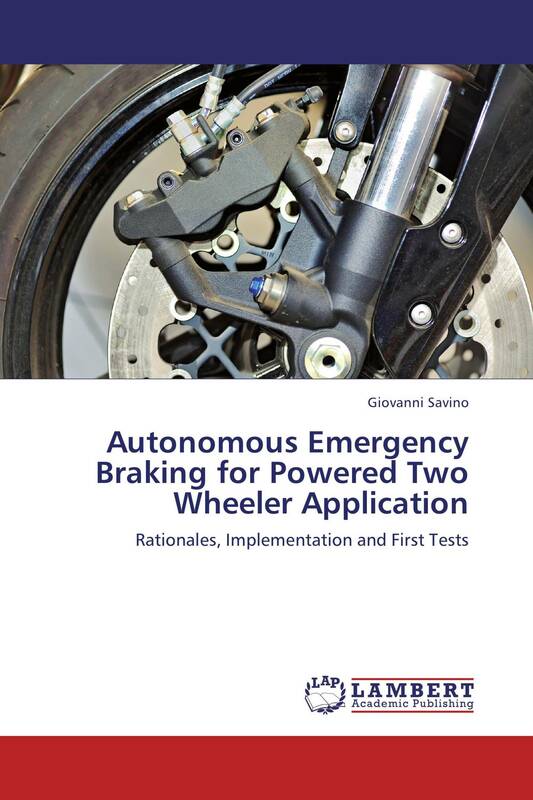 Finally, the feasibility of the autonomous deceleration was demonstrated with a test bike implementing a full prototype of autonomous braking system.